Is that some fuzzy-buzzy indie rock? Why yes, it is some fuzzy-buzzy indie rock. Don’t mind if I do. That works for a newspaper; not so much for a blog devoid of ads. And revenue. Forget that I said anything. 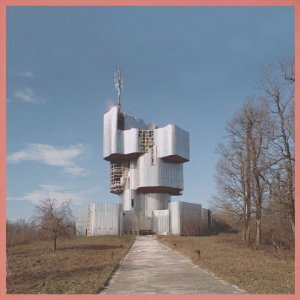 Anyway, Unknown Mortal Orchestra (the album) is good enough to get a few listens out of me. The main thing that this record has going for it is a whole lot of catchiness. It’s not your conventional, radio-ready catchiness, though. It’s feedback heavy, highly distorted, reverb-intensive guitar and synth rock. I’ll be the first to admit that this album does sound kind of cool. Unfortunately, it lacks any sort of substance that could allow its creators to stick around for any sort of multi-year period of time. It’s hard to explain, but there’s just a feeling I get while listening to this album. What it boils down to is that this band just doesn’t seem all that sincere. While their music is catchy, it feels just as empty and forced as most of the current Top 40.